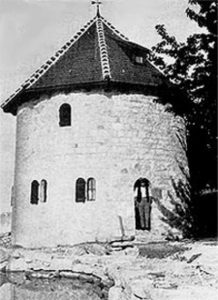 The Bollingen Fund was named after the “confession of faith in stone,” as Jung called his tower – the house he built for himself with his own hands at Bollingen. Over the years, as he would begin to feel that the house was incomplete, he would add rooms and courtyards and even an upper story. Bollingen was always the place where Jung said he felt most deeply himself. In that spirit and in that name, a generous donor gifted JACO a matching contribution for endowment funding, which was met by our members and friends in the community. We are deeply grateful to that anonymous donor and to all those who also contributed, for their foresight to support JACO’s continuing well-being. We still welcome donations to the Bollingen Fund, which will help sustain JACO’s mission well in to the years ahead. Your donation is tax deductible. Please give knowing you are helping JACO continue to serve our community well into the 21st century. You can donate to JACO by clicking here or by phone (614-291-8050), or by mailing a check to: JACO, 59 West Third Avenue, Columbus, OH 43201. Please clearly indicate your donation is to the Bollingen Fund.